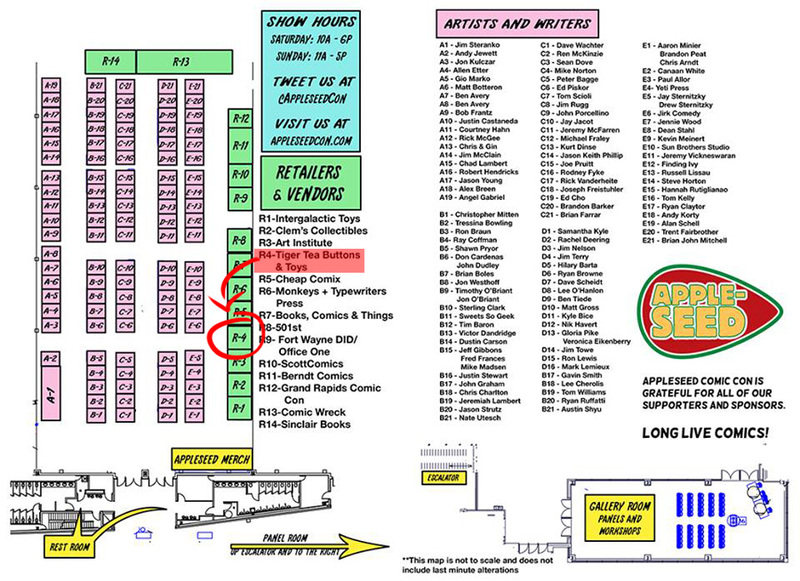 Saturday May 17 I will be at Appleseed comic con in Fort Wayne Indiana. Instead of exhibiting in the usual Artist alley space, I will be in the dealers section with a varied assortment of toys, buttons, and magnets. I’m only doing this once. My prime reason is I need capital to run this website and pay for advertising. After the show I will be posting the remainders to E-bay. So if you collect Lego Mini-figures or play Heroclix, then I’ll be your man…as of May 18th. Until then I’ll be working hard on finishing up Bridgette’s Belly, and getting ready for my next big project.